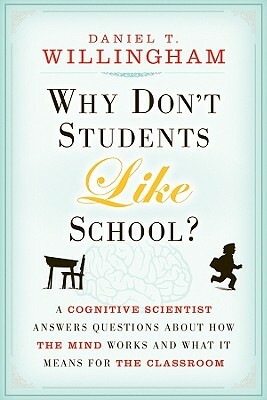 Cognitive scientist Dan Willingham focuses his acclaimed research on the biological and cognitive basis of learning. His book will help teachers improve their practice by explaining how they and their students think and learn. It reveals-the importance of story, emotion, memory, context, and routine in building knowledge and creating lasting learning experiences. "Mr. Willingham's answers apply just as well outside the classroom. Corporate trainers, marketers and, not least, parents -anyone who cares about how we learn-should find his book valuable reading." Daniel T. Willingham is professor of psychology at the University of Virginia, where he has taught since 1992. He writes the popular Ask the Cognitive Scientist column for American Educator magazine.